Couldn't find Ed Hardy's Christian Audigier watches before? Christian Audigier is a French fashion designer and entrepreneur that gained international fame for creating the Ed Hardy tattoo clothing apparel brand. 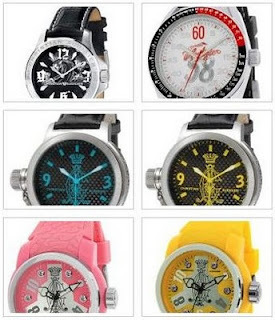 View more Ed Hardy's Christian Audigier watches here. HiShop is having a sale up to 80% for his series of watches. Sales ends on 31st October.